Ed Kuepper continues his year of activity celebrating four decades since the release of The Saints iconic (I’m) Stranded, with an all new set of Solo and By Request shows. Last performed in 2014, the By Request shows proved hugely popular, with Kuepper gladly accepting the invitation to tackle material from The Saints, The Aints and Laughing Clowns, alongside various covers versions and material from Ed’s 40 albums strong solo career. Shows and tickets are limited with performances scheduled for Sydney, Adelaide, Melbourne & Wheelers Hill only. 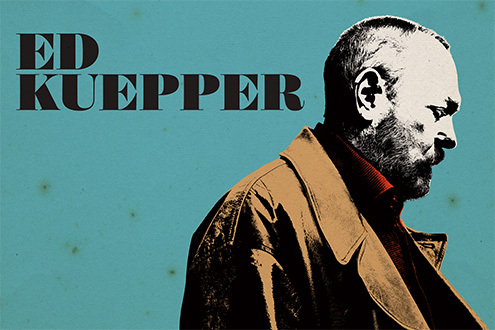 Elsewhere Kuepper and drummer Mark Dawson continue their own reinterpretation of Kueppers catalogue with the dynamic duo tacking to the stage each night sans rehearsal for a night of complete spontaneity. Destinations include MONA in Hobart for the Origin Of Art Festival, a rare Perth visit and the Gold Coast for a support to indie-icons, Sunnyboys.